$3 (red, white, Rosé), from our special stash of wine, that "fell off the boat"
No upcharge for Gluten Free! Click here to submit an event request. 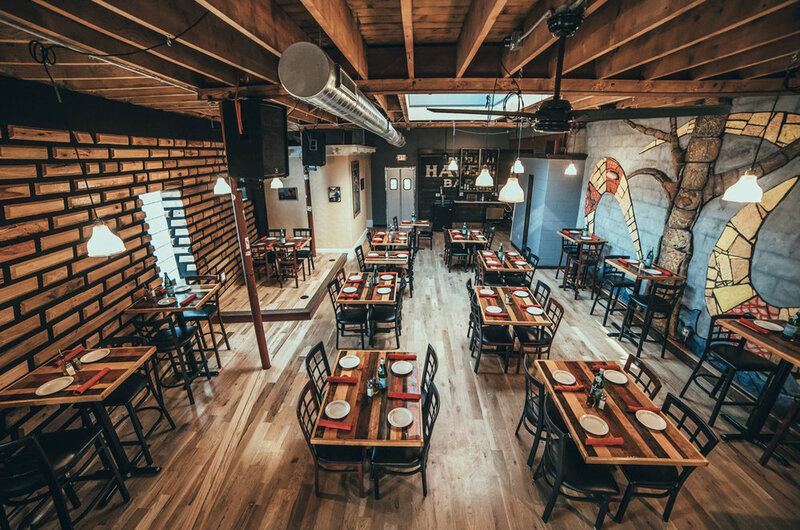 Transfer Pizzeria Café's new event room is the perfect, casual setting for gatherings up to 75. 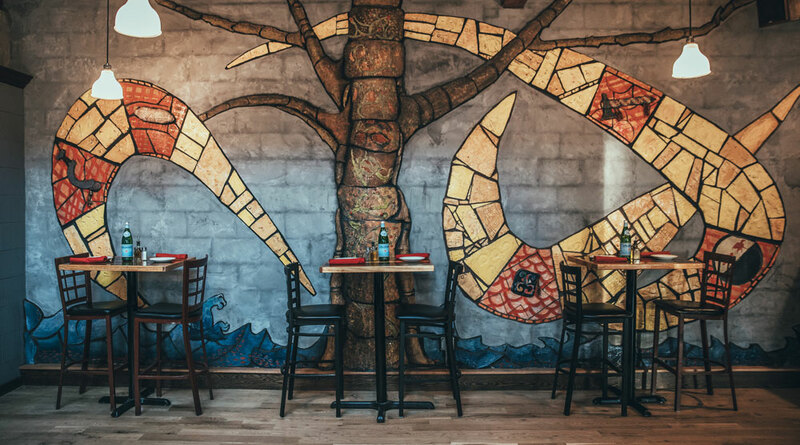 You'll love the exposed wood beams overhead, large scale ceramic tile art installation (by local artist Muneer Bahauddeen), and a skylight that offers plenty of natural light — and plenty of pizza for your event, of course! Deposits required to confirm a booking. If an event is cancelled more than 30 days before the event date, the deposit will be refunded 100%. If an event is cancelled less than 30 days prior, the deposit will be forfeited to Transfer Pizzeria Cafe. However, if rescheduled within 7 days of the cancelled date, the deposit will be transferred to the new event date. For Private event and catering inquiries, click here.